Are you ready to experience a new level of musical performance? Did you play in high school and want to continue your experience through college? Or are you new to music all together and interested in learning something completely different? 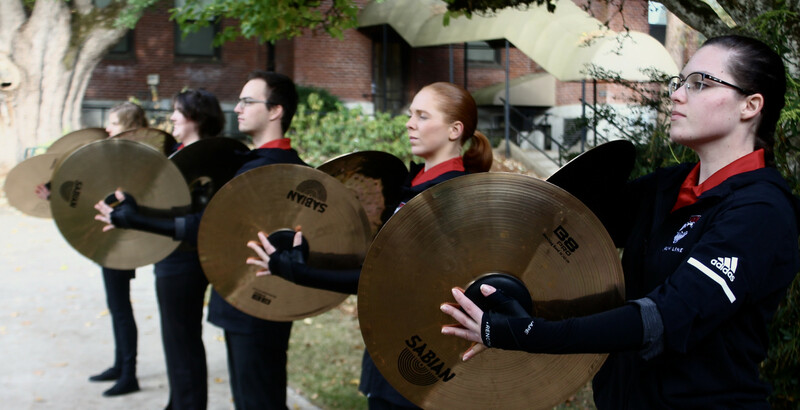 Look no further than to the Award Winning Western Oregon University Drumline. We welcome all levels of participants from seasoned drum corps members to those who have never picked up an instrument in their life. Being a music major or minor is not a requirement. All are welcome to join! 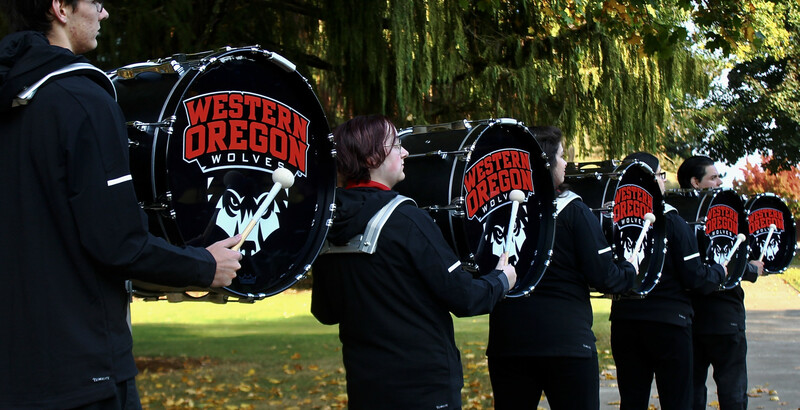 WOU Drumline performs at select home football, basketball games and many local community events. Help us make some noise as we rally our fans to cheer on the home team. Check us out on facebook and twitter for updates on our event participation. We even offer ten scholarships for those wishing to audition. See below for more information on auditions. If you wish to audition please download and prepare this music before drumline camp. Arriving prepared is the first step toward our success as a group. Play a wind instrument and still want to participate? Check out WOU Athletic Band!